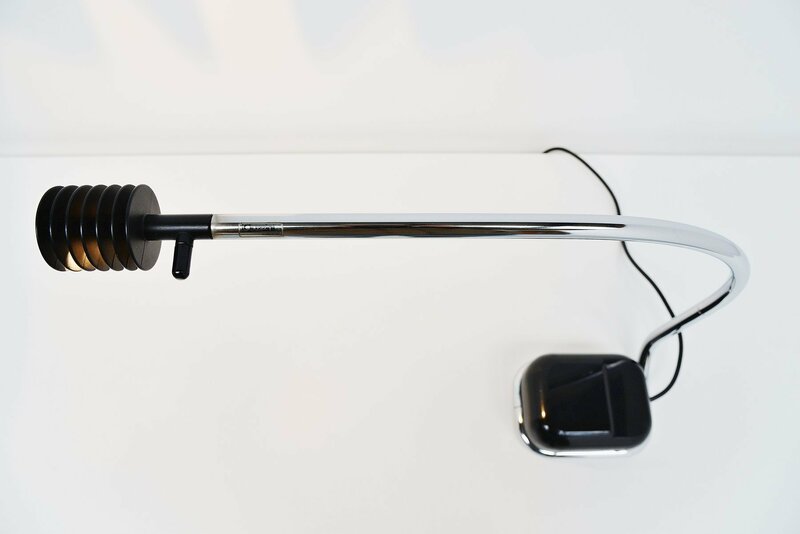 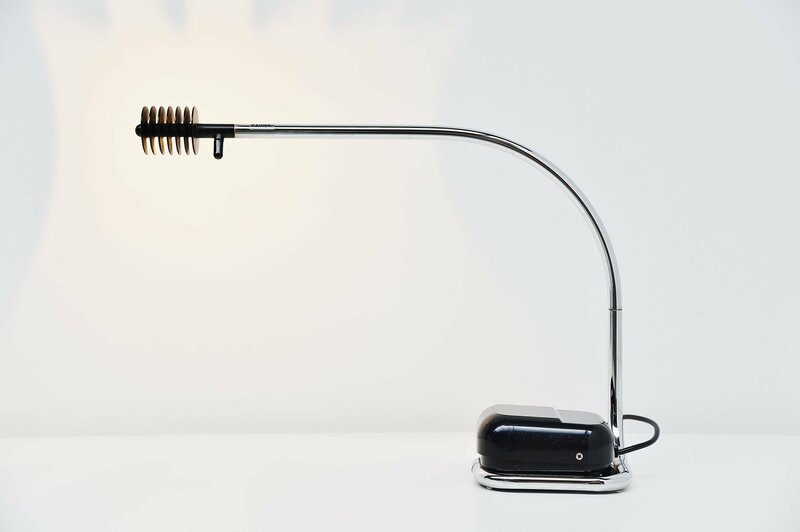 Very nice and early halogen desk lamp designed by Fabio Lenci for Harvey Guzzini, Italy 1971. 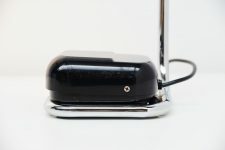 This table lamp has a black plastic covered base, weighted and with trafo on the inside, this is also the on/off switch. 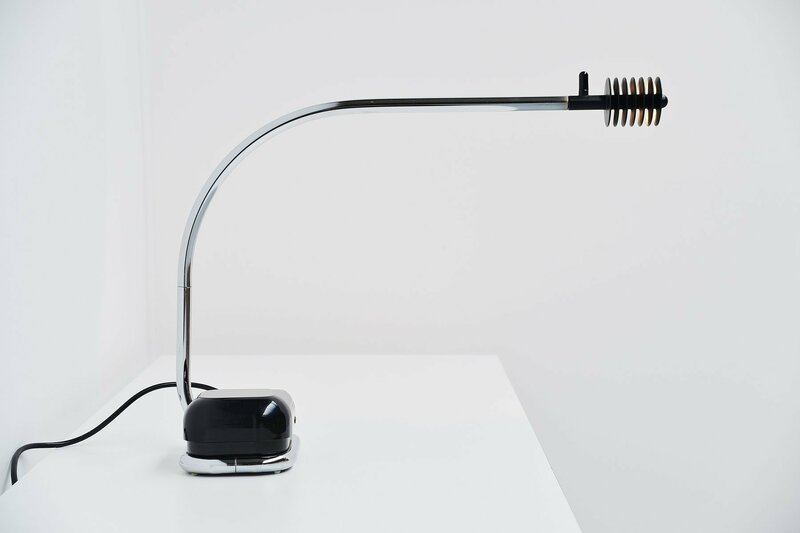 The lamp has a chrome plated metal tubular arm that is adjustable. 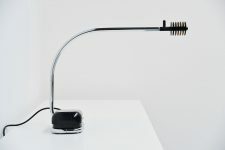 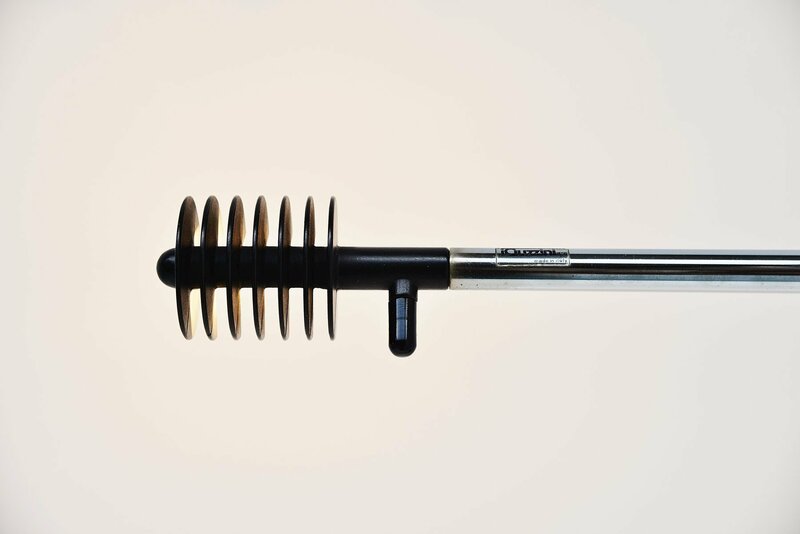 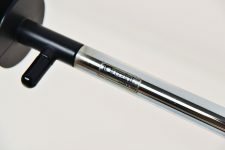 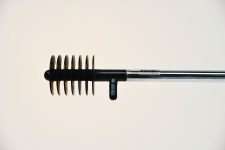 The shade was made of black lacquered metal and its rotatable. 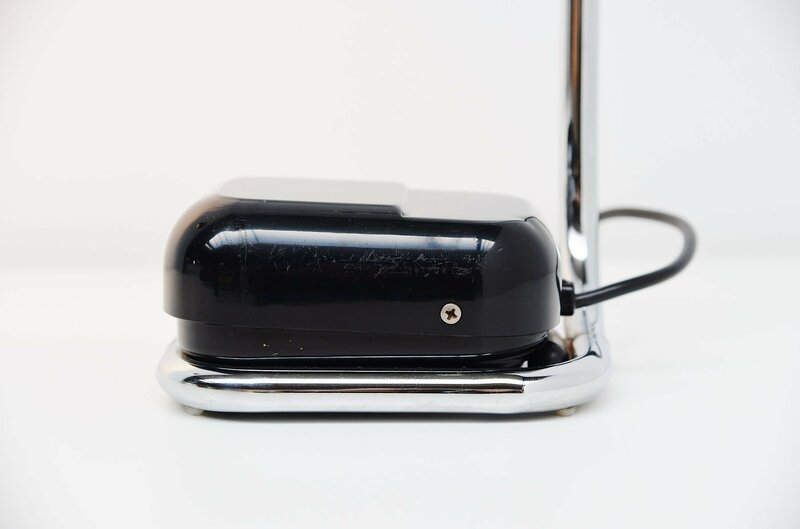 The lamp is marked with the Guzzini sticker on the chrome arm and its in fantastic original and working condition.